Below we will go over the two different treatment options. If you have any questions about our services, please call us at (480) 351-6377. If you are looking for instant results, then you may want to consider a heat treatment. A heat treatment is the fastest way to kill all bed bugs and eggs with just one treatment. Using our specialized heating equipment, we will heat the infested area(s) to 150 degrees Fahrenheit to ensure killing of all bed bugs is complete. Depending on how bad your infestation is, we can treat one room or several rooms. 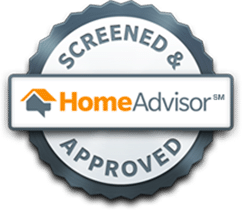 To give you complete peace of mind and to ensure complete removal of ALL bed bugs, we offer a 1 year warranty with our heat treatment services. If you ever see bed bugs within your warranty period, call us and we will come back to re-treat, free of charge. 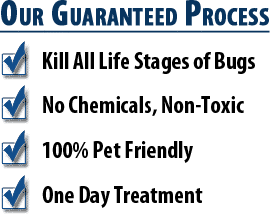 Using the highest quality chemicals available, we will be able to eliminate all your bed bugs within 30 days. Bed bugs will have to come in contact with the chemical spray. If you have bed bug eggs in your residence, those eggs will have to hatch and emerge from their hiding places. They will die as soon as they come in contact with our spray. This can take up to 30 days. 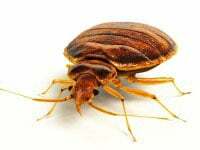 If the infestation is fairly new, a bed bug chemical treatment may be an option for you. We get asked that question all the time. It completely depends on your situation. There are many different factors, and every bed bug infestation is different. Because of this, we offer in-home bed bug inspections where we will come out and thoroughly inspect your residence for bed bugs. Once we know exactly what we’re dealing with, we will let you know which treatment option we recommend. 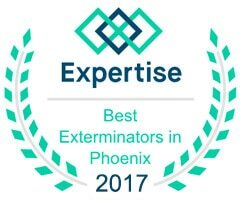 To schedule your bed bug inspection, give us a call (480) 351-6377 or visit our Get A Free Estimate page. We have treated thousands of homes and businesses for bed bugs with 100% success. WARNING: PLEASE DO NOT ATTEMPT TO TRY THIS YOURSELF. IMPROPER USE OF EQUIPMENT CAN HAVE SERIOUS CONSEQUENCES INCLUDING FIRE AND DEATH.